In our Clondalkin and Finglas locations we run Kids Breakfast Cafe’s offering local kids a good meal in a great atmosphere before they head to school. Every Monday in Bray we open up the hall of our premises for a drop in centre. It’s a place for people to hang out and have a chat over a game of pool or a cup of tea. This is a place for older men and women from the community to socialise each week. They meet Liberty Church (Ardee St.) every Tuesday from 10 till 12 in the morning for tea, coffee, arts and crafts, draughts, music and lots more. This group goes on all year round so feel free to drop in any Tuesday for some nice friendly chat and a cuppa. Each week a great team of youth leaders from Liberty run Life Cafe Dolphin’s Barn and Life Cafe Drimnagh providing a space for young people to hang out, connect and have fun. The Lighthouse is a place of hope for people in need in our city. Located on Pearse St. Liberty Church run the Lighthouse every Tuesday in association with Tiglin Rehabilitation Centre and Dublin Christian Mission. A group of mothers with toddlers meet every Wednesday morning in our Bray location. If you’re at home with your toddler why not come along? They’ll have fun and you will too! 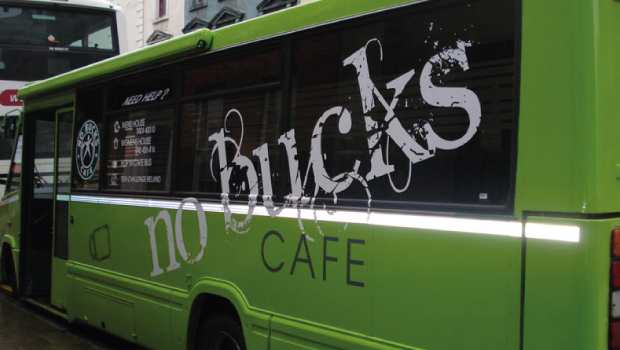 On Wednesday Evenings in Bray and Thursday Evenings in Dublin City Centre Liberty partner with Tiglin Rehabilitation Centre to staff their N0Bucks Cafe Bus. The Bus is a place where people in need can find hope, food, clothes, referrals to services and friendship with people who care.